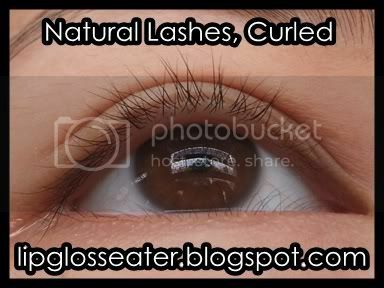 Likes: Does not clump or smudge, holds curls well, lengthens like crazy! Up to 300% dramatic lash volume mascara.Feast your eyes.Want drama? Make your lashes triple the volume with this ultra volumising mascara. 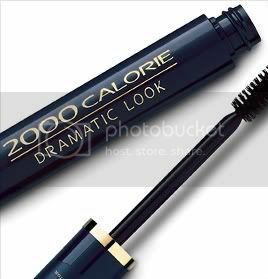 Its bodybuilding formula fattens even the thinnest of lashes and gives them up to 300% volume instantly! With no need for primers, the first application stays touch proof and smudge proof for as long you need it to, but quickly and easily wipes away with a gentle eye make-up remover, so even sensitive eyes and contact lens wearers can enjoy a fuller flutter! 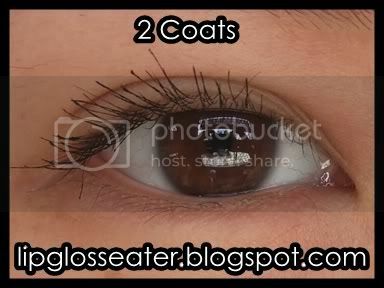 I got the one in Black, which is a really pigmented jet black! There's a brown one available as well. 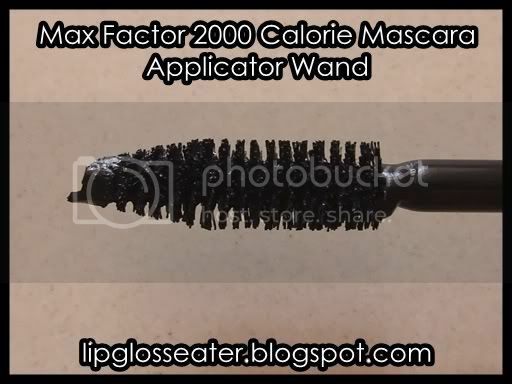 The mascara wand is fatter than the usual ones, but it's pretty easy to use! 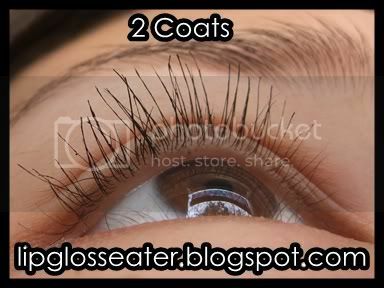 This mascara costs Rs. 360 (approx RM29.39 / US$8.16), which is quite affordable! 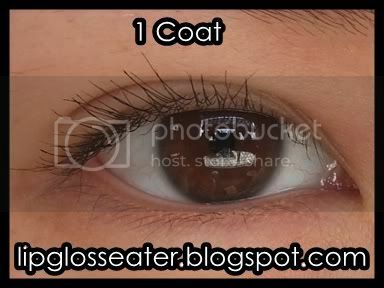 :) This mascara should be available at all Max Factor counters! This mascara seems really popular - it's always out of stock over here!! I had to visit the counter a few times before i got lucky! lol! 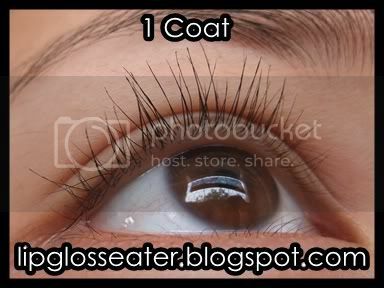 As you can see, it lengtens and defines my lashes nicely! 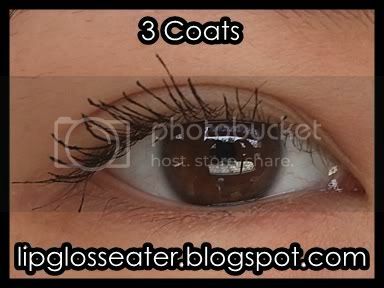 thanks for the review, I would expect thicker lashes though because of it's name! But the length is BEAUTIFUL!!!! Hmmm... maybe it had something to do with yours being a different packaging?? lol!! 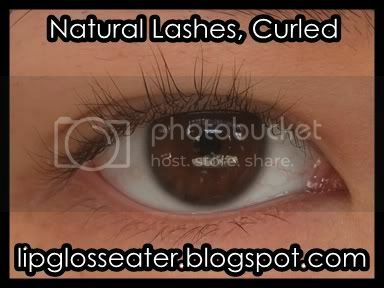 Ahaha... my lashes are stick straight too!! 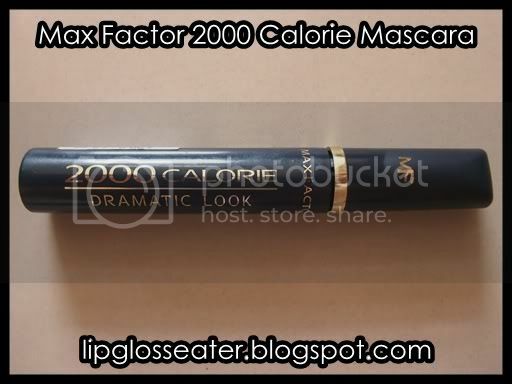 I really like Max Factor mascaras! I tried this years ago... but I wasn't into makeup very much then. So yah... wasted my $$$ since I allowed it to dry up. Anyway, my MAC haul finally arrived! I'm returning typographic cos it's really like carbon. Steamy is much greener and brighter than I expected! Loverush (liver red!) and Fleur Power (bright coral) are really quite pigmented! I suspect they'll look okay but I'll need to be very light handed. Studio Sculpt is great! It's like a cream! I'll test it out tomorrow. Realise the coverage is so good, I look strange with perfectly even skin tone! =P Almost as if the shade is too light (NC25) but I know it's not. I found the formula a tad dry though, like the mascara has dried out on me even though I just bought it. But then again, it could just be my mascara. Still it's weird, because it was sealed when I bought it. Reckon it could be an old one which I bought. Shucks. Tine: icic!! Hmmm... that's really strange!! 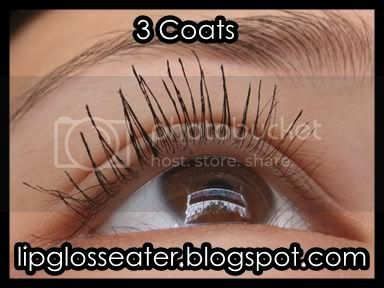 But then again Max Factor mascaras dry out really quickly, so that may be the reason! !